If you want to make sure that the move is as breezy as possible, you should hire professional movers. Moving to a different state is exciting. However, the part where you haul all your belongings from your old home to your new one is the tricky part. It’s going to take a lot of planning, disassembling, packing, carrying, unpacking, and reassembling. If you want to make sure that the move is as breezy as possible, you should hire professional movers. Not a driver’s license, although that is also essential, a license to operate. The United States Department of Transportation requires all cross country piano movers to have a proper license. 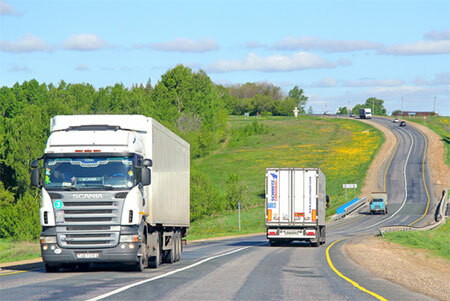 It’s to ensure that all movers follow the regulatory requirements of the country. It’s essential to know how long the company has been operating. It’s a good testament for a company to have years of experience because it means people continue to call for their services and that people still trust the company. 3. Do you have the proper equipment and tools? Furniture is large and bulky. Those may require special tools for disassembling and reassembling. Does the company have the necessary tools for that? If they aren’t going to dismantle it, will those fit in their moving trucks? Ask them the size of their vehicles and how many are available to use. 4. Do you have experience with moving the things I have? If you have special items like a piano, glass furniture, or any delicate things that need special handling, ask the movers if they’ve dealt with moving those in the past. 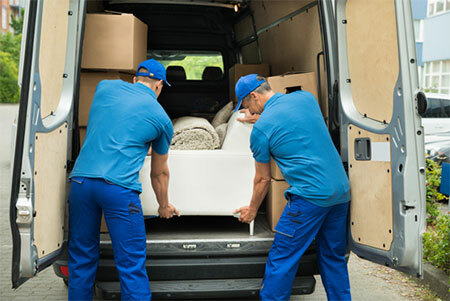 Those items need extra care, which is why you’re looking for professional movers because you want to entrust it to someone who knows how to handle it properly. 5. Do you cover the area I’ll be moving to? Mention the neighborhood and the house you’re moving into as well. It’s a precaution so movers know what kind of obstacles they might encounter. If they’ve done business in those areas, then they most likely already know what to expect along the way. They would also have an idea of specific measures or routes to take to make sure the move is as smooth as possible. 6. Will you do all the work? Ask the movers whether they’ll provide all the services or will they work with outside companies for the services that you need that they don’t offer. It’s crucial that you know their process, so you know how your furniture will be handled. 7. How much liability coverage do you provide? Furniture is expensive, and you’re bringing those along because you can’t afford to buy and replace everything you own. You’re hiring professional movers because you expect that your things will be handled with care. So, if anything goes wrong, the moving company should provide liability coverage. 8. Do you have any references? Testimonials and reviews are an excellent way for you to know if the cross country movers can do a good job. Ask them for references, or you can check for reviews online because the company will most likely give you only the positive ones they received. 9. Can you give me an estimated cost? Ask them if you could have a not-to-exceed estimate. Make sure that the quote covers everything that you might need for the move. Ask whether there’s still any additional costs that could suddenly appear come pay time. 10. Can you offer any discounts? It’s not necessary, but it’s incredibly beneficial for you to ask if they offer discounts or promotions. You could save money if you happen to require their services at a time when they’re offering discounts. Sometimes it could also be for your specific situation like you only have a few items, or you’ll be doing the packing yourself. 11. What’s the estimated time of arrival? You should know the estimated time of arrival so you can properly plan what to do when they arrive. It doesn’t have to include a specific time of day, but just how many days you should expect it to take or if you should expect any delays. Knowing the estimate will also help you negotiate with the movers if you need your items as soon as possible. When moving across the country, you’re going to need cross country movers to bring your furniture to your new place. Don’t try to do it yourself because you can’t lug everything in your car. And since you’ll be traveling for miles, you can’t go back and forth for your things. Leave it to the professionals to make your move as comfortable as possible.